The Manhattan Skyline Management Corp.® Web Site (the "Site") is made available to the visitor ("You") solely for informational, noncommercial use; nothing herein constitutes an offer to sell, lease, or provide any goods or services. Your access to and use of this Web site (this "Site") is subject to your compliance with the following Terms and all applicable laws. By accessing and browsing this Site, you accept, without limitation or qualification, the Terms and Conditions herein. Manhattan Skyline Management Corp.® may revise these Terms and Conditions at any time by updating this posting. Your continued use of this Site is contingent upon your agreement to be bound by any such revisions. You can view the most current version of the Terms and Conditions at any time by visiting this Web page.  Please note that Web sites launched by any affiliates, subsidiaries or divisions of Manhattan Skyline Management Corp.® are governed by separate terms and conditions. You must not post any Content on the Site or Forum or use the Site or Forum in any way that is or may be considered to be capable of infringing on any other person’s or other entity’s intellectual property rights (including but not limited to copyright, trade marks, design rights or database rights); in breach of any applicable law, whether criminal or otherwise; or offensive, obscene, insulting, false, defamatory, unreliable, misleading or otherwise inappropriate. advertise or offer to sell any goods or services (other than in accordance with these Terms); conduct or forward surveys, contests or chain letters; upload files that contain viruses, corrupted files, or any other similar software or programs that may damage the operation of our or any other computer; upload files which contain an active hypertext link to another web site; or download any file posted by us or another User that you know or reasonably should know, cannot be legally distributed in such manner. You must not frame or link to the Site or any part of it or the Forum without our express permission. We shall be entitled at any time to delete, remove or suspend the whole or any part of the Site, including any Content that you provide, without notice to you and without incurring any liability. We may block or withhold your access to the Site if we have reasonable grounds to suspect any breach by you of these Terms; that we or any User has incurred or may incur any liability in connection with the Site; or if your use or Content is otherwise inappropriate. This Site enables you to access listings of available space and related pricing. While we endeavor to keep these listings accurate and up to date, this information does not in any way constitute an offer by us. If you are interested in leasing space in our buildings, please contact the person listed in the inquiries section within each project page. MANHATTAN SKYLINE MANAGEMENT CORP.® reserves the right to terminate your use of the Services or your access to the Site, for any reason. Any termination pursuant to this provision may be without prior notice and you agree that MANHATTAN SKYLINE MANAGEMENT CORP.® shall not be liable to you for such termination. Manhattan Skyline Management Corp.® grants You permission to display, download, and reproduce information posted on the Site, ("Information") subject to your agreement to abide by the following conditions: You may display, download, and reproduce the Information solely for non-commercial or business purposes within your organization, or for your own personal use and You must retain and reproduce each copyright notice or other proprietary rights notice contained in any of the Information You display, download, or reproduce. With the exception of the foregoing limited authorization, You are not granted any license to or right in connection with this Site. Manhattan Skyline Management Corp.® makes reasonable efforts to ensure that all information contained on the Site is accurate and up to date. Nevertheless, your use and browsing of this Site is exclusively at your own risk and this Site is provided to You AS-IS. Manhattan Skyline Management Corp.® MAKES NO WARRANTIES, EXPRESS OR IMPLIED, WITH RESPECT TO THE USE OF THIS SITE AND THE MATERIALS CONTAINED HEREIN. Manhattan Skyline Management Corp.® EXPRESSLY DISCLAIMS ANY EXPRESS OR IMPLIED WARRANTY OF ACCURACY OR QUALITY AND ANY IMPLIED WARRANTY OF MERCHANTABILITY, FITNESS FOR A PARTICULAR PURPOSE OR NON-INFRINGEMENT AND ASSUMES NO LIABILITY FOR ANY ERRORS AND/OR OMISSIONS IN THE INFORMATION CONTAINED IN THIS SITE. Manhattan Skyline Management Corp.® ALSO EXPRESSLY DISCLAIMS ANY LIABILITY FOR ANY DAMAGE TO OR VIRUSES THAT MAY INFECT YOUR COMPUTER EQUIPMENT OR OTHER PROPERTY AS YOU ACCESS OR BROWSE THE SITE OR DOWNLOAD MATERIAL FROM THE SITE. UNDER NO CIRCUMSTANCES SHALL Manhattan Skyline Management Corp.® BE LIABLE FOR ANY INDIRECT, INCIDENTAL, SPECIAL, CONSEQUENTIAL OR PUNITIVE DAMAGES WHETHER IN AN ACTION IN CONTRACT OR TORT (INCLUDING NEGLIGENCE AND STRICT LIABILITY) RESULTING FROM ITS PERFORMANCE OR ANY FAILURE TO PERFORM UNDER THIS AGREEMENT EVEN IF Manhattan Skyline Management Corp. ® HAS BEEN ADVISED OF THE POSSIBILITY OF SUCH DAMAGES. Manhattan Skyline Management Corp.'S® SOLE LIABILITY HEREUNDER SHALL NEVER EXCEED $500.00. MANHATTAN SKYLINE MANAGEMENT CORP.® is not responsible for any Content posted by our partners or by Users. We do not warrant the accuracy of this or any other Content in any respect and we cannot be held liable for any use you may make of it or any reliance you may place on it. Any recommendation or other information on any area of the Site or Forum is used by you at your own risk. Any link on the Site is provided solely for your information and convenience. A link does not represent any endorsement or recommendation by MANHATTAN SKYLINE MANAGEMENT CORP.® and does not mean that we have any association with the linked web site. We are not responsible for the content of any linked web site. MANHATTAN SKYLINE MANAGEMENT CORP.® will not be liable to you or any third party for any claim to the extent that the same is characterized as a claim for, or arising from: loss of profits or anticipated savings; loss of goodwill or injury to reputation; loss of business opportunity; loss of data; loss as suffered by third parties; indirect, consequential or special loss or damage regardless of the form of action, whether in contract, strict liability or tort (including negligence) and regardless of whether MANHATTAN SKYLINE MANAGEMENT CORP.® knew or had reason to know of the possibility of the loss, injury or damage in question. MANHATTAN SKYLINE MANAGEMENT CORP.® s not liable for any failure to perform any obligation caused by matters beyond our reasonable control (including without limitation any failure of transmission, inability to access the Site or Forum or any failure, error or delay in the sending or receiving of any communication). MANHATTAN SKYLINE MANAGEMENT CORP.® is not liable for any loss, damage or other liability whatsoever arising from any Content, activity, terms or policies on or in connection with the Site or Forum or from any separate agreement which you may enter into with another User. MANHATTAN SKYLINE MANAGEMENT CORP.® excludes all warranties, conditions and terms, whether express or implied to the fullest extent permitted by law in respect of the Site. You agree to indemnify Us against all liabilities, claims and expenses that may arise from any breach of these Terms by you, your employees or agents from any use of the Site or Forum or from any of your Content. Any communication You make with Manhattan Skyline Management Corp.® via this Site will be treated as non-proprietary. Manhattan Skyline Management Corp.® is free to use any idea, concept, or invention created by You and transmitted to it via this Site notwithstanding any limiting language You may use when transmitting such information. If You do not want Manhattan Skyline Management Corp.® to use your idea unless it pays You a fee, or agrees to other terms, do not transmit it to Manhattan Skyline Management Corp. ® via this Site. This Site may contain links to other Web sites or frame information from other Web sites that are not under the control of Manhattan Skyline Management Corp.® Manhattan Skyline Management Corp.® is providing these links and/or frames to You only as a convenience. Manhattan Skyline Management Corp.® MAKES NO ENDORSEMENTS, WARRANTIES OR REPRESENTATIONS OF ANY KIND WHATSOEVER REGARDING THOSE SITES, INCLUDING THE PRODUCTS, SOFTWARE, MATERIALS, SERVICES, CONTENT OR ACCURACY OR APPROPRIATENESS OF CONTENT ON SUCH LINKED WEB SITES. YOUR DECISION TO ACCESS ANY SUCH OTHER WEB SITES SHALL BE ENTIRELY AT YOUR OWN RISK AND DISCRETION. IN PARTICULAR, PLEASE NOTE THAT THE POLICIES OF OTHER SITES LINKED TO THE Manhattan Skyline Management Corp.® SITE MAY BE MATERIALLY DIFFERENT THAN OUR TERMS, ESPECIALLY WITH RESPECT TO THE USE AND COLLECTION OF PERSONAL INFORMATION. No permission is hereby granted to You to link from any other Web site to any portion of this Site, or to frame any content contained on this Site without Manhattan Skyline Management Corp.'s® prior written permission. This Site and the services described on this Site are intended for adult individuals only. Manhattan Skyline Management Corp.® does not target children under the age of 18 and does not seek to collect any personally identifiable information about children under the age of 18. We encourage and support the efforts of parents and legal guardians of children to monitor their children's internet usage and to caution them against providing personally identifiable information to any Web site over the Internet without permission. The Site (excluding any linked Web site) is controlled by Manhattan Skyline Management Corp.® from its offices within the State of New York, United States. This Site can be accessed from all states in the United States, as well as from other countries around the world. Each of these places has laws that may differ from those of the State of New York. By accessing this Site, You agree that all matters relating to access to, or use of, this Site or any other linked Web site, shall be governed by the applicable laws of the State of New York and the laws of the United States of America, without regard to the conflicts of laws principles thereof. You also agree, and by using this Site hereby submit, to the exclusive personal jurisdiction and venue of the courts of the State of New York in New York City in the Borough of Manhattan relating to any dispute arising out of your use of the Site. Your use of this Site is void where prohibited by laws in jurisdictions to which You are otherwise subject, and You agree that You shall not visit or use this Site in any such circumstances. You agree and acknowledge that your use of this Site, and all transactions occurring in connection with this Site, shall be deemed to have occurred and taken place solely in the State of New York and the Borough of Manhattan, United States. Manhattan Skyline Management Corp.® reserves the right to modify and add to the Terms at any time without prior notice by posting the new terms and conditions on the Site. You should periodically review these Terms for updates. Use of the Site after such posting of any modifications or additions shall constitute your acceptance of the new terms as indicated above. If Manhattan Skyline Management Corp.®, in its sole discretion, determines that a violation of the Terms has occurred, Manhattan Skyline Management Corp.® may pursue any of its legal remedies. However, the failure of Manhattan Skyline Management Corp.® to exercise or enforce any right or provision of these Terms shall not constitute a waiver of such right or provision. These Terms contain the entire agreement between us relating to the subject matter hereof, and supersede any prior understanding or agreements regarding the subject.